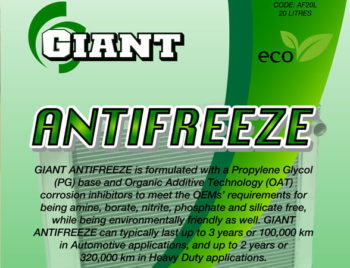 GIANT PREMIX COOLANT is formulated with a Propylene Glycol (PG) base and Organic Additive Technology (OAT) corrosion inhibitors to meet the Asian, European and some North American OEMs’ requirements for being amine, borate, nitrate, phosphate and silicate free, while being environmentally friendly as well. 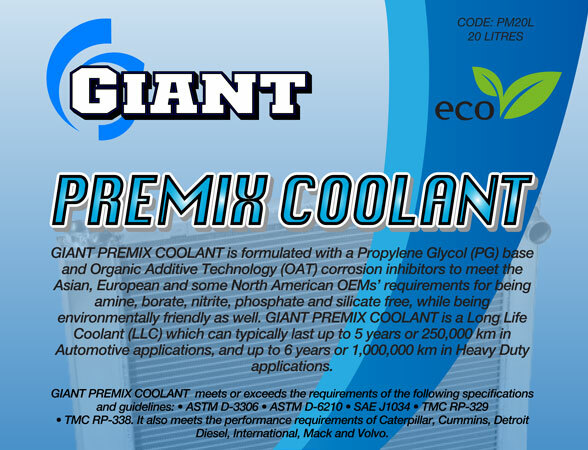 GIANT PREMIX COOLANT is a Long Life Coolant (LLC) which can typically last up to 5 years or 250,000 km in Automotive applications, and up to 6 years or 1,000,000 km in Heavy Duty applications. 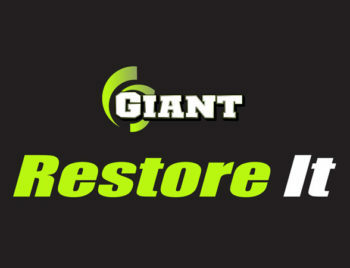 GIANT BLUE PREMIX is formulated to absorb and remove excess heat from the engine block to the radiator so as to prevent overheating, and ensuring that the engine operates at its optimally efficient temperatures. The Anti-Freeze properties are also ideal for freeze protection when required at temperatures below freezing point. Formulating with a Propylene Glycol base results in low toxicity and limits environmental damages in the event of wrongful or accidental disposals. 2-4 ounces of Ethylene Glycol (commonly used in conventional coolants) can be fatal if ingested by an adult human but Propylene Glycol is a common food additive that is not harmful to humans if ingested in moderate amounts. Propylene Glycol also exhibits superior cavitation erosion protection. The unique blend of Organic Additive Technology (OAT) type of corrosion inhibitors prevents pitting, scale & rust formation, on the metal surfaces of the cooling system. This prevents leakages and extends the lifespan of the cooling system. OAT components are also non-toxic and readily biodegradable. OAT makes GIANT BLUE PREMIX a Long-Life Coolant (LLC), and it can typically last up to 5 years or 250,000 km in Automotive applications, and up to 6 years or 1,000,000 km in Heavy Duty applications. 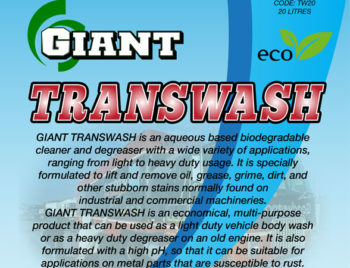 Contains corrosion and rust inhibitors. Special additives to protect metal components within cooling system. Extended drain – reduces maintenance costs. 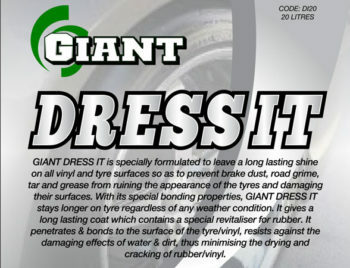 GIANT BLUE PREMIX can be used in the cooling systems of automobiles, trucks, vessels, aviation equipment, compressors, motors, generators and other heavy machineries. GIANT BLUE PREMIX is also ideal for systems where incidental contact may be possible on food or beverages, like within a food/beverage processing plant. GIANT BLUE PREMIX meets or exceeds the requirements of the following specifications and guidelines: ASTM D-3306, ASTM D-6210, SAE J1034, TMC RP-329, TMC RP-338. It also meets the performance requirements of Caterpillar, Cummins, Detroit Diesel, International, Mack and Volvo.